Dubai: It took him less than six hours, but Dubai visitor Calvin Francis Moras got himself a t-shirt that is perfect to witness history. When Pope Francis addresses 135,000 people in Abu Dhabi tomorrow, Moras will be there, showcasing his love for the Pope through his art. 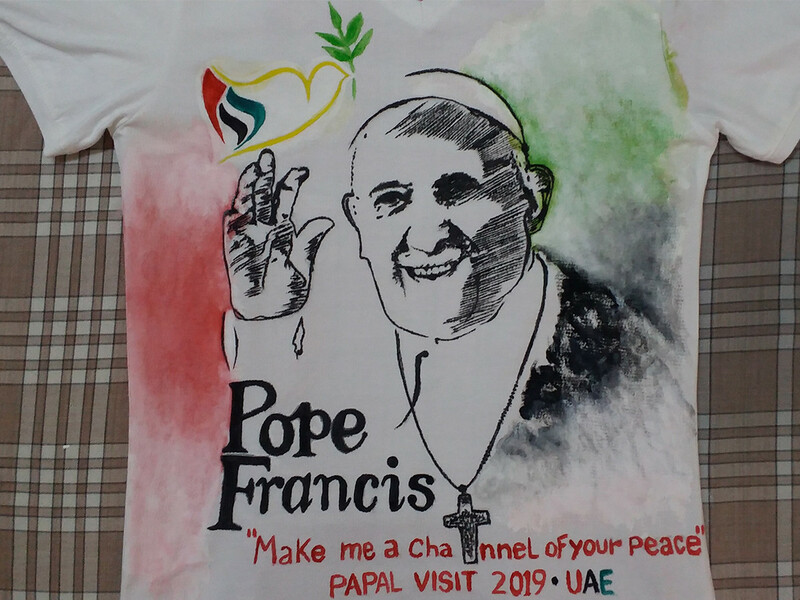 On the t-shirt, he painted the potrait of Pope Francis, along with the UAE flag and a bird carrying an olive branch in its beak. He also added a line from the famous prayer of Saint Francis of Assisi — ‘Make Me A Channel of Your Peace’. “I am very excited to wear this to Tuesday’s Papal Mass,” he told Gulf News. An artist since childhood, he always heard of how Pope John Paul II visited his tiny village of Bajpe in Mangalore, India in 1986. “The place was less than a kilometer away from where I live. I was told that 500,000 people attended that mass. There was even a chapel built there afterwards named after him,” the 30-year-old said. Moras, who is in Dubai on a visit for a job hunt, hopes the blessings he recieves help him in his career as well. People like Moras have been sharing their excitement about attending tomorrow’s mass on social media, tweeting pictures picture of their tickets with the hashtag #PopeFrancisInUAE. Abu Dhabi resident, Joseph Sagun, also let loose his creativity when he painted a bag for a friend. 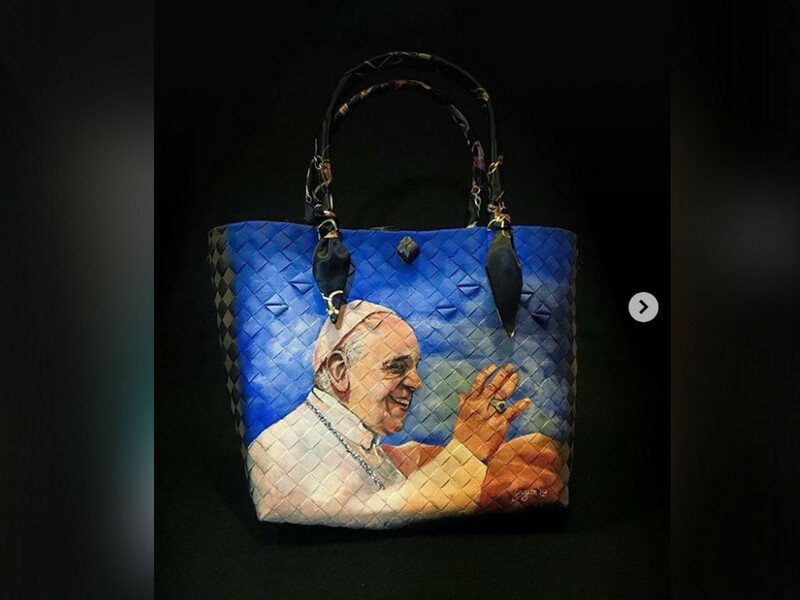 “This is for a friend of a friend, who wants to take this bag to the Mass. This is the first time I have painted the Pope and I plan to make a t-shirt for myself as well. I don’t think I have any time left, though,” the 33-year-old architect told Gulf News. “I hope it will be a nice memory for her, because she hopes to have a face-to-face encounter with the Pope,” he added. At 10.30am tomorrow (Tuesday), Pope Francis will celebrate a Holy High Mass at the Zayed Sports City Stadium.